IMAGE: Barcelona's Lionel Messi and Luis Suarez (R) during training. Photograph Lee Smith Livepic/Reuters. 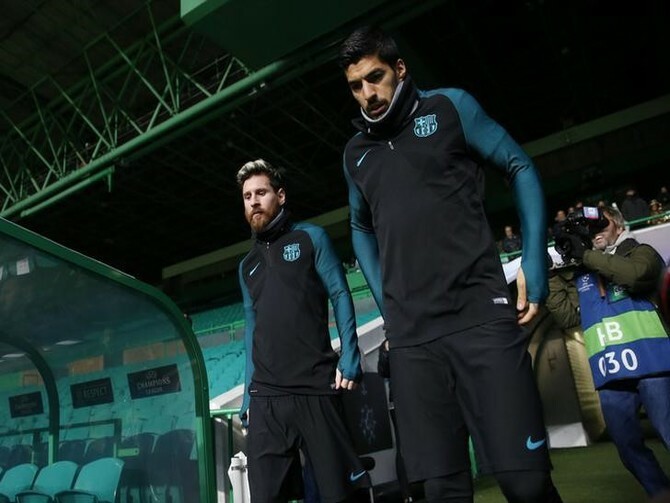 Lionel Messi and Luis Suarez are both back for domestic duties as second-placed Barcelona resume their chase of La Liga leader Real Madrid with a tricky trip to red-hot Real Sociedad on Sunday.